When you need Furnace & Heating System Repair in Mountlake Terrace, Edmonds & Lynnwood, WA to get your HVAC system running properly once again, the team at Energy Works is standing by to serve you. We have an excellent reputation for punctual, professional workmanship and we’d love to add your name to our ever-growing list of satisfied customers. 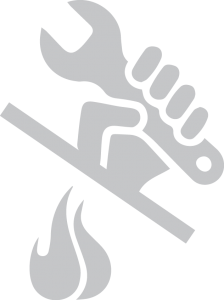 We don’t just service one specific brand of product; our expertise allows us to perform a wide variety of repairs on most major heating system brands. We make a point of being prompt and efficient, and our reasonable hourly rates and package deals are sure to please. By choosing us, our clients also enjoy the peace of mind of receiving a detailed, written estimate before the project begins. Give Energy Works in Mountlake Terrace, WA, a call today if you find yourself in need of heating repairs or general heating system maintenance work. Appointments are available Monday – Friday, 9am – 3pm, and weekends, upon request, so mention the day and time that are best for you when you call. Contact us for Furnace & Heating System Repair in Mountlake Terrace, Edmonds & Lynnwood, WA!